Description EPA 30 MPG Hwy/19 MPG City! Custom trim. AND MORE! Child Safety Locks, 4-Wheel ABS, Front Disc/Rear Drum Brakes, Vehicle Anti-Theft System. 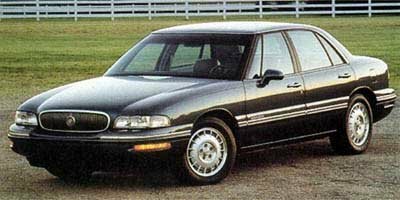 newCarTestDrive.com's review says "Buick likes to say the LeSabre offers peace of mind, and it does exactly that.". Great Gas Mileage: 30 MPG Hwy.